It was a rough day. Lots of things went wrong today and the worst part is that I could have prevented most of it! The day started with me hitting the snooze and sleeping in a half hour. The heat and hills has worn me out…and I stayed up late watching Hulu last night. After I got ready, I couldn’t find my sunscreen. I took 20mins to go through every pocket and unpack my bag and check all my storage bags. Nothing! I fry even with sunscreen on so I knew this would be bad. How did I drop it!? I hiked on and wore my PCT bandana like it was the desert for maximal protection. I came across two guys headed out after backpacking and one of them had the little emergency foil packet of sunscreen. That would help a bit. Then I came across a couple of southbounders who flip flopped named Dump Truck and Murphy. They were nice enough to give me an application of sunscreen. As I hiked on, it became more exposed and the heat began to set in. With the sunscreen delay, I hadn’t taken time to stop and check the water sources. 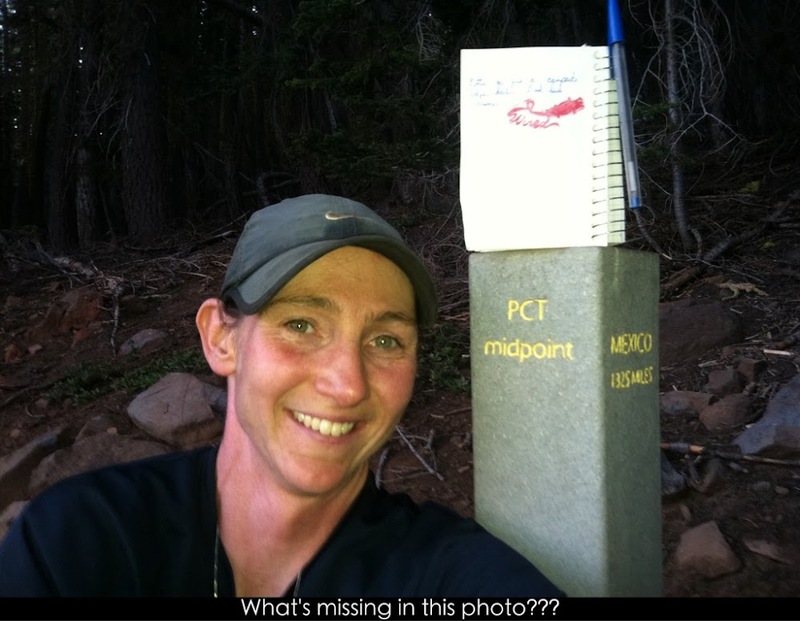 When I did, I found out I was a mile past the last water source for 10mi! I’m such an idiot! This section is known for long waterless stretches and high heat and I didn’t even check! I was too far to hike back and decided to ration the 1/2 liter I had. I decided on a gulp every 30min if needed. It’s amazing how thirsty I become the moment I know water is limited! That was not fun and the rationing wasn’t working cause I was sweating and needing water. Plus, it was noon and I needed to eat lunch. I would have to push that back til I got water 3hrs later. So stupid! An hour later, I came to an intersection and said hi to a woman on a four wheeler. I swallowed my dry mouth pride and asked for water and she gave me a half liter bottle. Yay! I put Powerade powder in it and had lunch right there. My tent and sleeping bag needed to dry out from dew and condensation last night, so the break was long, buy one of those breaks where I don’t rest because I’m unpacking and repacking all the gear. When I did that, my sunscreen was found right in the pocket I had always had it in. I totally checked that pocket first thing this morning too. Ugh! I was still pretty thirsty and moved on to the next water source. I was moving slow with the uphill and heat. 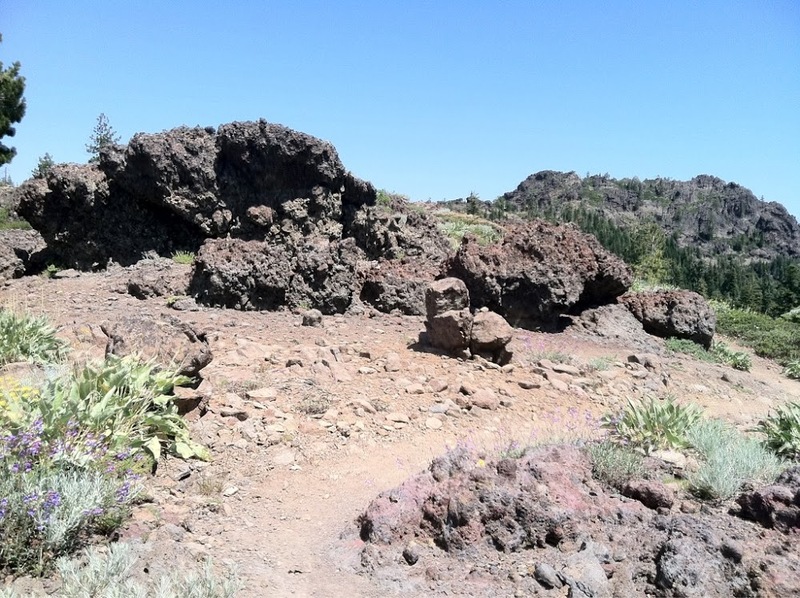 In Lassen National Forest there are a lot of lava rock formations. I didn’t get to the water source for another 2.5hrs and it was just before 5pm. It was .5mi off trail, so I left my bag at the top of the hill and headed down. When I got down there, another thru hiker, Mason, was camping there with his mom. He said he was one of the first ones through the Sierras and then he went home for 3wks cause he was tired of the snow. His mom is doing this section with him. Good thing I left my bag up the hill cause I was so worn out, I almost called it a day! I had to hike 6mi further to the next water source and hoped to camp there after passing the halfway point. My one goal o the day was to get to the halfway point. I had to feel like something was accomplished today and anyone who knows me knows I tend to be pretty stubborn when I set a goal. The goal was to get there today and that was happening! Within 30min of leaving Mason and his mom, I came across a southbound section hiker named Nowhere Man. He recognized me from my journal, which was cool. He told me the water source I was headed for was dry and that he didn’t remember seeing any flat spots to camp after the halfway mark. Sheesh! I started to think I might have to stop early and hiked on disappointed. When I go to the point where I had to decide, I decided to make a run for it and just push til 8pm. It would be late, but I had to make it today! Of course, that did not go well. I walked around a corner to see snow and rocks with no clear trail. 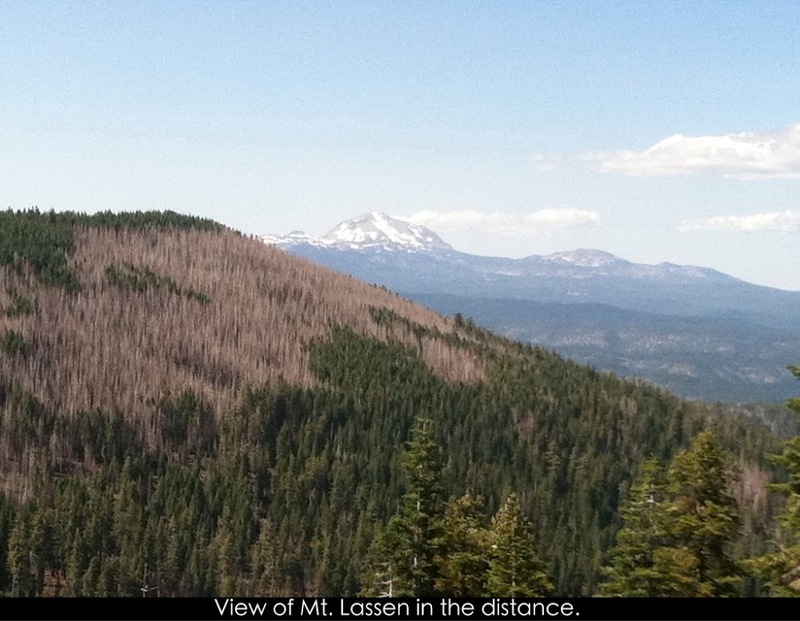 I saw the silver blazes that have been along the trail in this section and followed those. After a bit, it felt wrong and I double checked with the GPS. I was on a different trail and on the wrong side of the ridge! Argh! Looking at the GPS, I saw that I needed to go about 100yds straight up and over the steep ridge and that the trail would be on the other side. Seems simple enough, right. 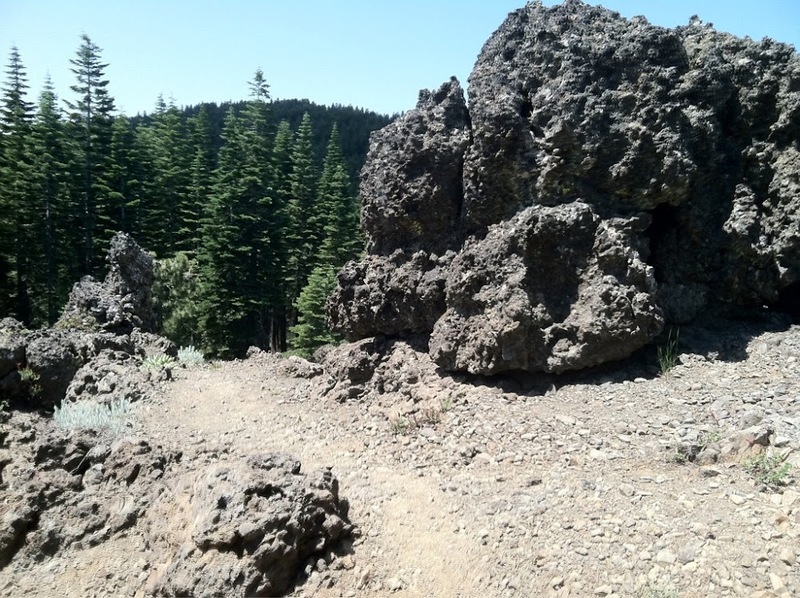 When I got to the top, I found that I had a lot of bushwhacking and rock scrambling to get down to the trail. Of course! I did that and added to the collection of bruises, scrapes, and cuts. I took a couple good tumbles getting caught up in the thick bushes and that was really aggravating. I finally made it to the halfway point just after 8pm and I signed the register with my stamp. Have you figured out what’s missing in the picture??? When I finally found a flat spot to came awhile after the midpoint, I realized my sunglasses were gone! I had lost them in the bushwhacking and didn’t even know it. What a perfect ending to this crummy day! Tomorrow, I go into Chester to celebrate the Halfway point with ice cream and hope to start anew. Sunglasses are now added to the list of supplies I need while in town. I’m also replacing my headphones that have just decided to slowly fade. What frustrates me the most is the unplanned expenses I’ve had lately for lost or broken gear. So annoying! To all of you who have sent donations, THANK YOU!!! Your donations are going directly towards the new camera, sunglasses, headphones, etc. I’m hoping to learn from all these mistakes today and to not repeat any if them!